The action inside the ring was brutal. Ali was 33 and Frazier 31. 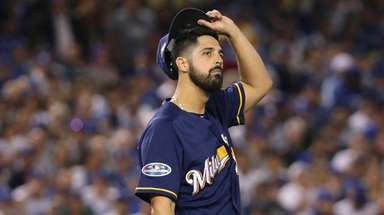 Both men were considered past their prime. 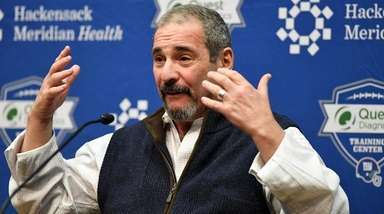 That is one reason many speculate the fight was so violent. Their reflexes and speed were fading, but the determination and pride that made them great champions still existed. 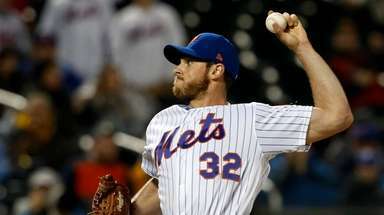 The fight took place at 10 a.m. local time, to accommodate the closed-circuit TV audience in the U.S. 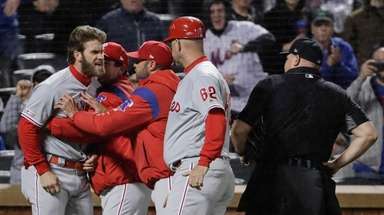 The early start somewhat spared the fighters from Manila’s searing heat, although it was estimated that the temperature in the ring was close to 100 degrees. 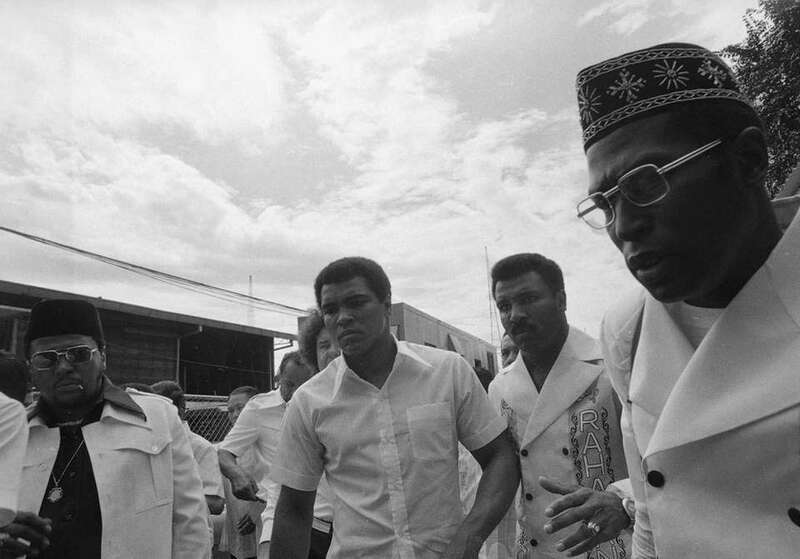 Heavyweight champion Muhammed Ali, with his brother Rahaman, right, arrive at the Coliseum In Manila, Philippines, the morning of Oct. 1, 1975, one hour ahead of his scheduled time to start title defense against Joe Frazier. 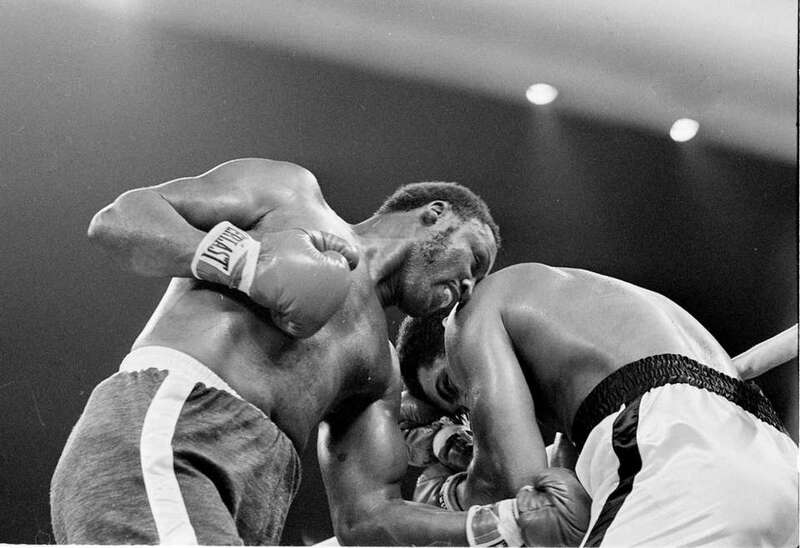 Muhammad Ali, left, brings his gloves to his face as opponent Joe Frazier delivers a right hook in the second round of their bout in Manila, Philippines at the Coliseum on October 1, 1975. 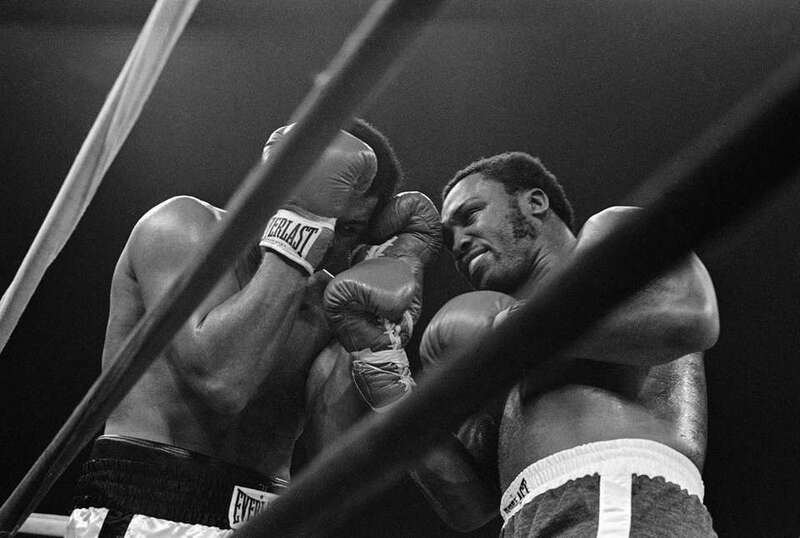 Challenger Joe Frazier and champ Muhammad Ali are shoulder to shoulder in the fourth round of their title bout at the Coliseum, Oct. 1, 1975 in Manila, Philippines. 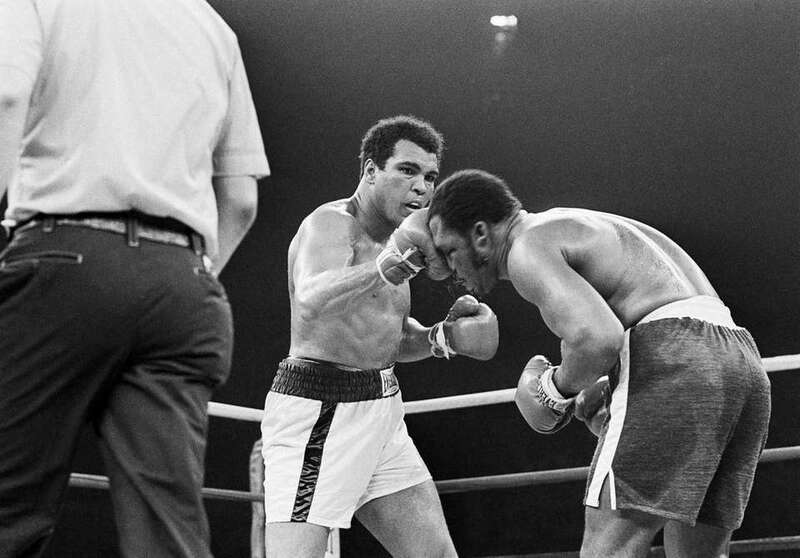 Muhammad Ali fights Joe Frazier in Manila, Philippines on Oct. 1, 1975. Sweat flies from the head of Joe Frazier as Muhammad Ali connects with a right in the ninth round of their title fight in Manila, Philippines, on Oct. 1, 1975. 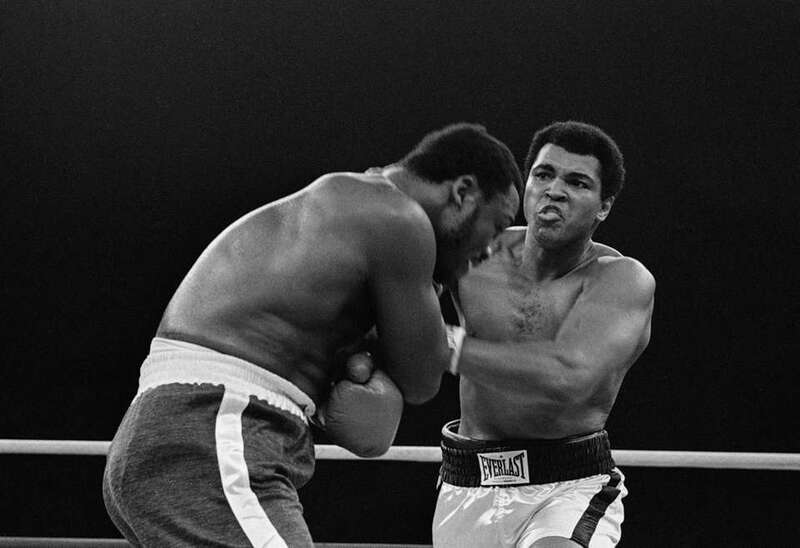 Ali won the fight on a decision to retain the title. 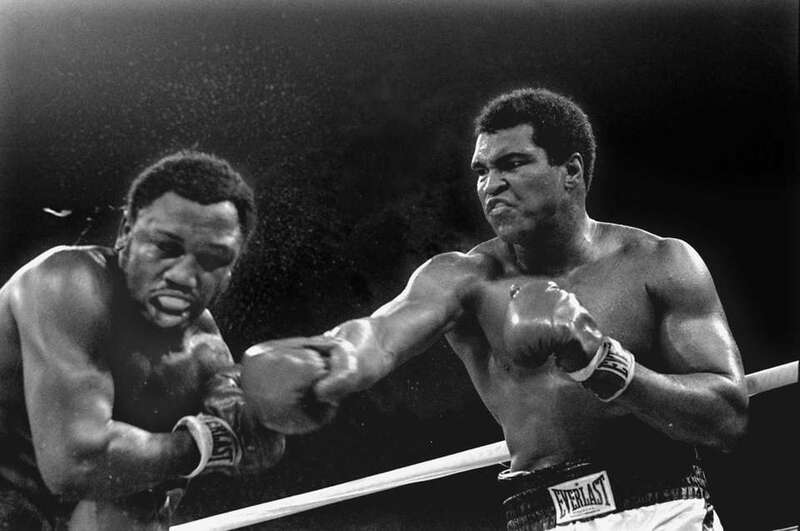 Muhammad Ali's right to the top of Joe Frazier's head in the 13th round is shown in their title bout at the Coliseum in Manila, Philippines, Oct. 1, 1975. 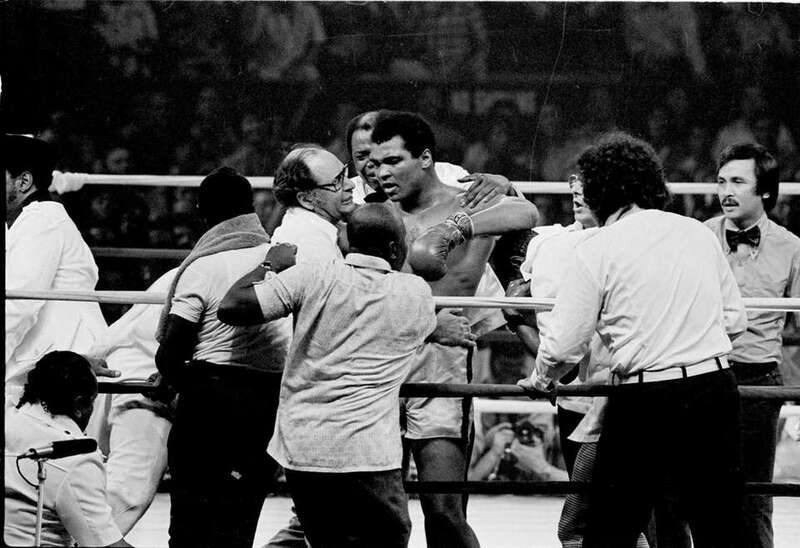 Muhammad Ali is in the ring surrounded by his trainers, handlers and doctors after winning in the 14th round against Joe Frazier at the Coiseum in Manila, Oct. 1, 1975. 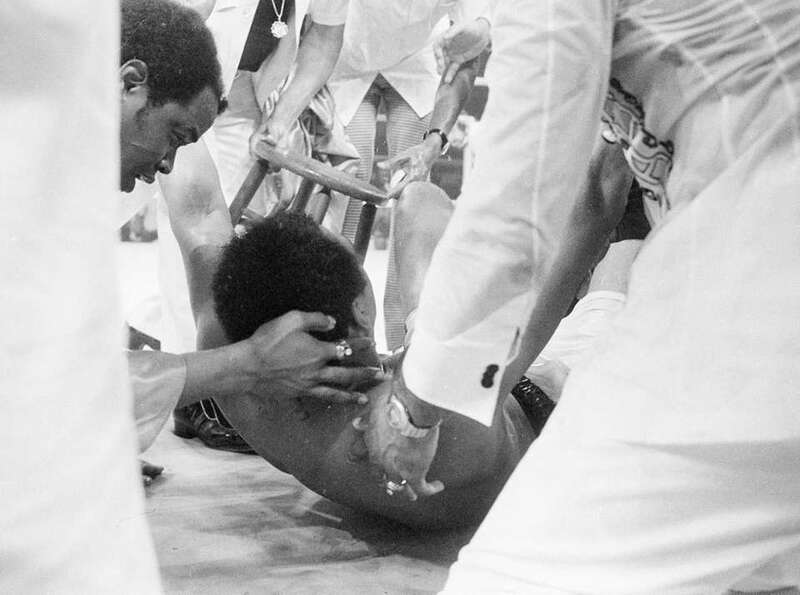 Muhammad Ali is sprawled on the canvas in his corner of the ring after he collapsed off his chair at the end of the 14th round in bout against Joe Frazier at the Coliseum, Manila, on Oct. 1, 1975. 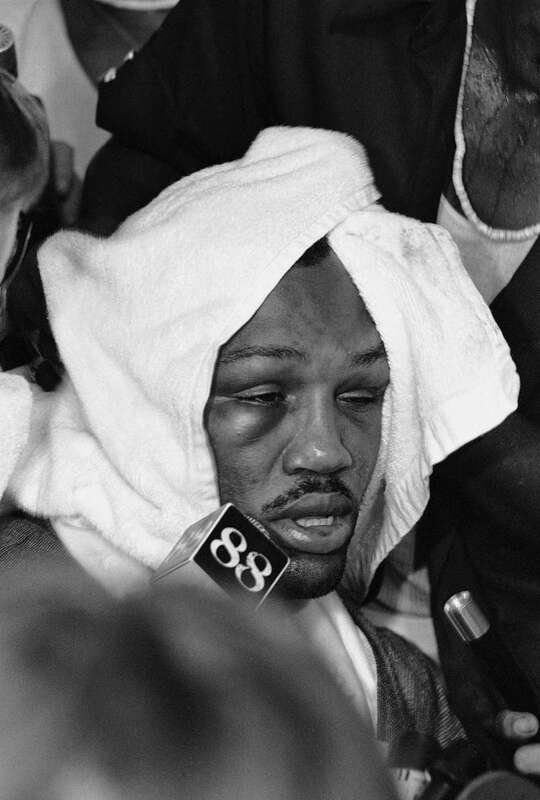 A swollen right eye is apparent on Joe Frazier's face as he is almost covered over by a towel in Manila Oct. 1, 1975 after losing by TKO in the 14th round to heavyweight champion Muhammad Ali.